The transportation system in Singapore is one of the best in Southeast Asia in my opinion. Why is it so? Firstly, it’s extensive. Almost all parts of Singapore can be accessed by public transportation. Secondly, it can be easily understood. The rules, routes, fares, schedules are set in stone, so you don’t need to worry about being scammed MOST of the time (I’m going to mention about situations where you could be ripped off in the Taxi section, though). 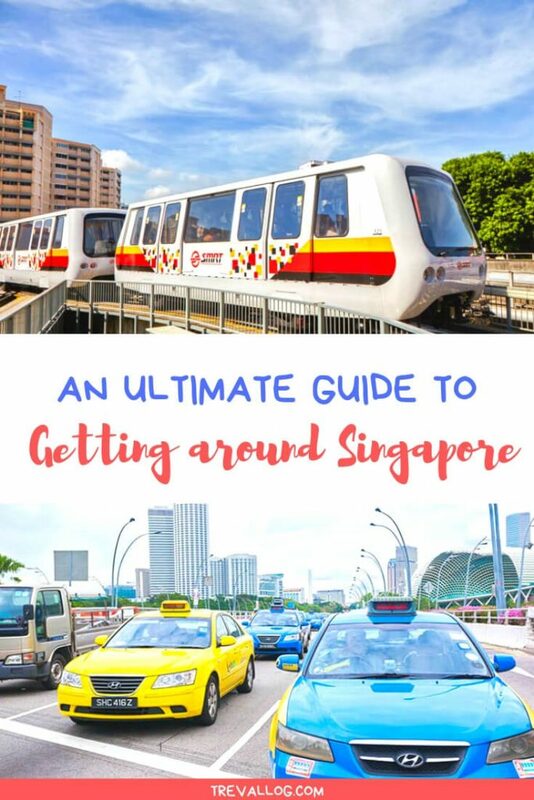 This article will show you EVERYTHING you need to know about how to travel with the various transportation modes in Singapore, including my personal tips. 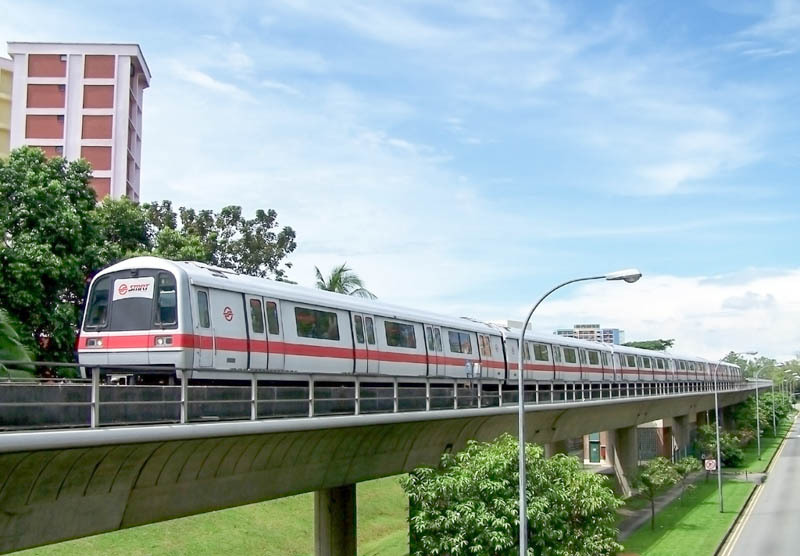 The MRT is, hands down, the fastest way to travel around Singapore at a minimal cost. My 1st tip: As much as possible, avoid the MRT between 7.30am – 8.30am and 6pm – 7pm. The crowd is insane during the rush hour, you’d wish you have a private jet. To ride the MRT, you MUST have either an EZ-Link, an STP or a Standard Ticket. Basically, EZ-Link is a prepaid travel pass that you can purchase at any MRT station. Your EZ-Link will be charged according to the distance you travel on the MRT. The STP (Singapore Tourist Pass) is an unlimited travel pass that you can use on MRT, LRT and buses. The Standard Ticket is for people who don’t have (and don’t want to have, or forget to bring) EZ-Link or STP. 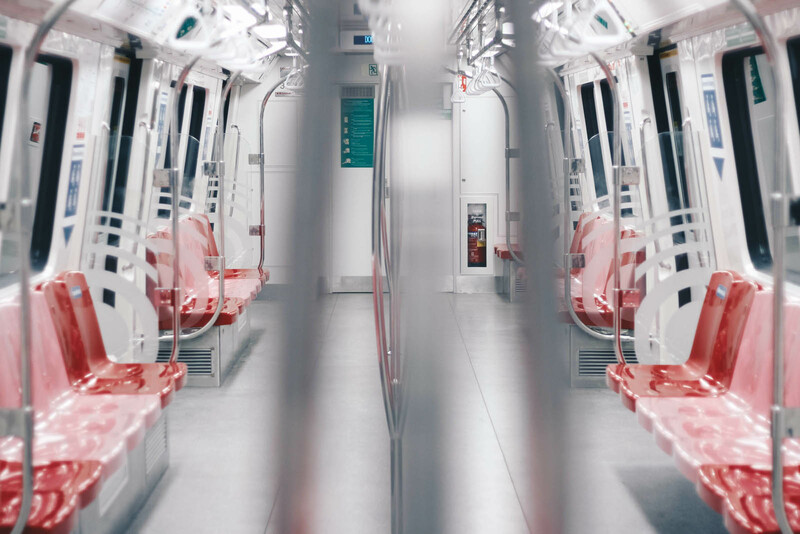 Say, you want to travel from A to B with Standard Ticket, what you need to do is to purchase it from the Ticketing Machine located at all MRT stations. I urge you to learn more about the benefits of each card here. Do children need a travel card? No, if they’re shorter than 90cm and below 7 years old. If they’re taller than 90 cm and below 7 years old, they need a Child Concession Card (apply at any TransitLink Ticket Offices). If they’re above 7 years old, they need to have either an Adult card or Student card (if they’re students in Singapore). 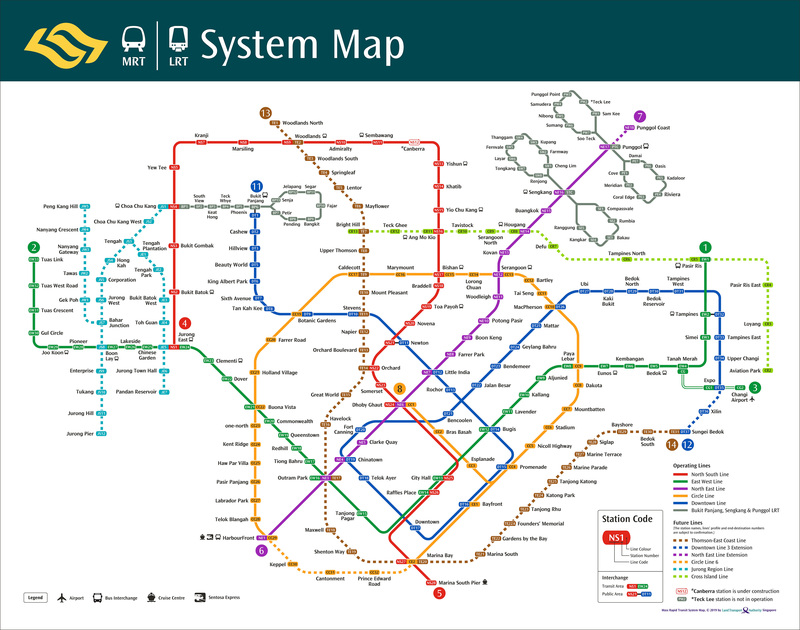 This is the latest Singapore MRT map, as of March 2019. The solid lines are in operation while the dotted lines are still under construction. The train travel duration is typically 3 mins between station, but certain stations are far from each other thus require longer travel time. 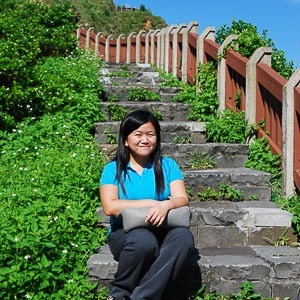 These are just a few examples of long-duration-journey: Jurong East – Clementi, Expo – Changi Airport, Khatib – Yio Chu Kang, Yishun – Sembawang, Caldecott – Botanic Gardens. To find out the actual travel time, you can refer to the travel duration boards available at all platforms. If you really want to know right now, use this free tool to estimate travel duration. Train fare is calculated with a method called Distance Based Fare. So the further you travel, the more amount you need to pay. You don’t have to calculate the fare yourself. If you’re using EZ-Link, the system will directly deduct the fare from your EZ-Link card the moment you tap out of MRT station. If you’re a trip planning nerd and you want to how much you’ll be spending on transportation, you can use this tool to estimate MRT fare. The tool can also compute multiple journey where you take an MRT ride followed by bus ride(s) within 2 hours. 2nd tip: If you have come out and tapped out from MRT station, and you realize that you are at the wrong exit so you want to go back in and come out from another exit, DON’T DO THAT. Even though you’re only passing by, your EZ-Link will be charged again as if you’re travelling for 1 station… well, unless you’re holding an STP! With STP, you can tap in tap out as many times as you like! 3rd pro tip: Since we’re talking about transport fare, there’s something interesting yet technical called “transfer” that you might want to know. This applies to EZ-Link only. You can skip this part if you’re not a nerd, trust me. I don’t want you to think that travel is complicated. I just wanted you to have fun. But, remember this: if you’re going from A to B and they’re too far apart that you need to take a couple of bus rides & MRT, you can save transport fare by not doing a detour, not take the same MRT ride twice, not take the same bus service twice, complete the whole journey in 2 hours. If you insist you want to learn the details, here we go. Say, your hotel is in Bugis area (but not near MRT) and you want to go to Singapore Zoo. So, you take a bus from your hotel to Bugis, then an MRT ride from Bugis to Ang Mo Kio, followed by a bus ride from Ang Mo Kio bus interchange to the Zoo. The final fare that’ll be charged on your EZ-Link card is calculated based on the distance traveled on the first bus + distance traveled on MRT + distance traveled on the second bus. The fare is NOT calculated based on fare on first bus + fare on MRT + fare on second bus. Distanced-based fare is cheaper than fare-based. This way, you don’t have to worry about spending too much money because you’re taking too many buses/MRT. Case 2: Similar to Case 1 above but you spend more than 45 mins during transfer between each trip, so you have to pay $0.83 + $1.39 + $1.55 = $3.77. It’s 2x the cost of case 1! If you break any of the limitations in the above picture, you’ll be paying individual fare, not distance-based fare. Individual fare is clearly more expensive than distance-based fare so you’ll try to avoid that, unless $2 is not a big concern for you, or unless you’re using STP. Train frequency varies depending on the time of the day and the day of the week. Typically, weekday trains are more frequent than weekend trains. The train frequency during peak hours is about 2 to 3 minutes and 5 to 7 minutes during off-peak hours. The trains almost never have frequency more than 6 mins, except early in the morning, near midnight, or during train fault. Yes, train faults do happen from time to time; when such fault happens, the free shuttle bus will be activated, so you can go to your destination by taking these express buses. These express shuttle buses only stop at MRT stations (not at every bus stops along the way), so it’s definitely faster than the usual buses. Train operation hours are approximately from 5.30am to about midnight daily. During festive periods, the hours may be extended an hour or two. Each station has different first train timing and last train timing. You can see the first train & last train timing at the entrance of MRT near Passenger Service Counter. Otherwise, you can also check MRT operation timings online. Don’t stand at the “tap card” gate while digging through your bag looking for your travel card. Be considerate, move away and don’t block the gate until you find your travel card. Tap your card at the gates that have green arrow, not red cross. If unsure, observe how others are doing it first. If possible, avoid using the wide gate meant for disabled people during peak hours. If you’re carrying bulky items, like a stroller, take the lift for your safety and convenience. When taking the escalator, if you’re not rushing, stand on the left side. The right side is for people who are rushing. Queue at the side of the train door. Don’t cut the queue. Don’t stand at the center of train door in order not to block people coming out from the train. When train doors open and people have come out from the train, enter the train in an orderly manner. Don’t push and avoid any physical contact with other people. Avoid sitting at priority seats unless you’re pregnant, elderly or disabled. Hold the poles during the journey for your own and other people’s safety. Try to stand at the center of the train. Do not crowd the door areas. If you’re wearing a bulky backpack, put it down on the floor so that it won’t hit other people accidentally. Do not smoke, eat or drink in the train and stations. It’s against the law and you will get fined. What happen if you can’t tap in or tap out at MRT gate? It a common thing that happens to everyone all the time, really. Don’t panic. Don’t keep trying to tap for 10 or 20 times, it’s annoying. What you should do is just walk to the Passenger Service Counter, tell the staff that you can’t tap, and they’ll fix the card for you. The whole thing takes less than 1 minute. Don’t be afraid, they won’t interrogate you. Sometimes, they do ask where was the last time you took MRT or bus, etc. Most of the time, they don’t even speak a single word to you. That’s efficiency! To change train from one line to another line, follow the direction and DO NOT tap out (except at 3 stations). If you’re changing train at Newton MRT, Tampines MRT and Bukit Panjang, you have to tap out and tap in again within 15 minutes in order not to incur extra charge. Chinatown MRT is really tricky because there are so many exits so you might accidentally tap out when you want to change train; please note that you SHOULD NOT tap out if you’re only changing train, just ask the staff if you’re unsure about which way to go. You can ask questions to the staff at Passenger Service Counter, such as how to go to certain buildings near the MRT, what buses you can take to certain destination, where the nearest toilet/ATM is, etc. It’s faster to ask them than to ask Mr. Google. So, you’ve been out for some time and your phone’s battery is running low. You wonder where you can charge your phone besides Starbucks or expensive cafes. Good news, there are a couple of MRT stations where you can charge your phone for free (you have to use your own cable though). They are Bugis, City Hall, Orchard, Tanjong Pagar, Outram, Kent Ridge, Ang Mo Kio. Woohoo! Another great feature of Singapore’s MRT stations is the free wifi. Yep, you read it right, it’s FREE. What you have to do is just connect to Wireless@SG. Then, a page will pop up requesting for your mobile number. Key in your number and you’ll soon receive an OTP by SMS. Key in that OTP and you’re good to go! The wifi strength depends on a lot of factors, so keep your expectation low! If internet data is your oxygen, I suggest that you get a local SIM card. Not every station has free wifi; the government is working hard to provide free wifi at all stations by 2020 though. LRT is similar to MRT, except that it is smaller and runs on elevated tracks. 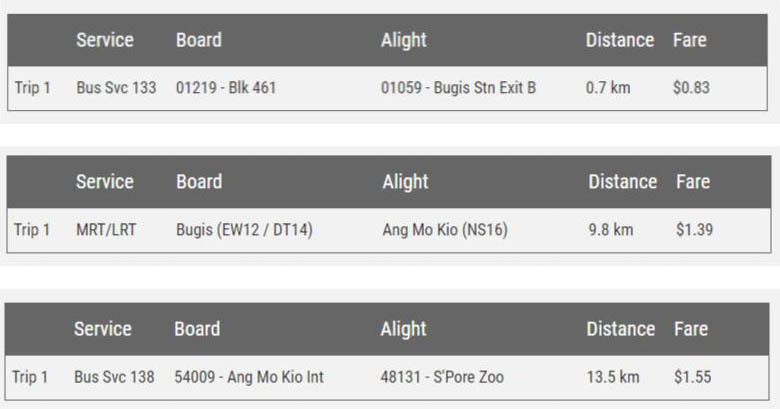 At the moment, there are 3 LRT lines in Singapore: Bukit Panjang LRT, Sengkang LRT, Punggol LRT. Each LRT network connects to an MRT station (or 2). When you’re doing a transfer from an LRT to MRT, or vice versa, you need not tap out. 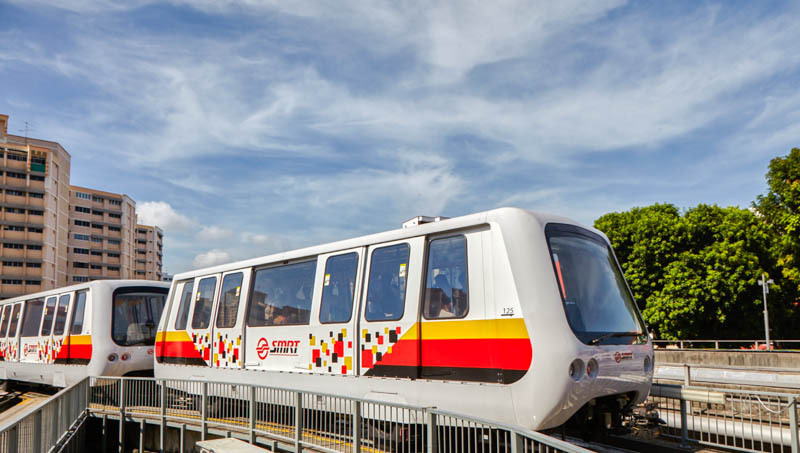 The rules of taking an LRT ride is exactly the same as MRT ride. Bus is obviously slower than MRT but it reaches places that MRT can’t, offers lively scenery (unlike underground trains), has longer waiting time yet gives you more opportunity to sit down compared to MRT. Similar to MRT, you want to avoid taking bus during peak hours, from 7.30am to 8.30am and 6pm to 7pm (sometimes longer). And you definitely want to avoid taking bus to Orchard on a Friday evening (it’s horrible). To ride the bus, you can use an EZ-Link, an STP or pay by cash. Learn about the benefits of EZ-Link and STP here. If you don’t have EZ-Link or STP, or your EZ-Link has value below $3, you MUST pay cash. To pay cash, just inform the bus driver your destination, he will advise you the amount you need to pay. Put your notes/coins in the cash box near the driver (no change will be given, so try to give the exact amount), then collect the ticket from ticket machine usually located along the corridor behind the driver. Do not lose the ticket until you arrive at your destination, because sometimes they may conduct random check to catch those who didn’t pay to ride the bus. The rules about children’s travel is the same as those of MRT. If the kids are shorter than 90cm and below 7 years old, they can travel for free. If they’re taller than 90 cm and below 7 years old, they need a Child Concession Card (apply at any TransitLink Ticket Offices). If they’re above 7 years old, they need to have either an Adult card or Student card (if they’re students in Singapore). To be honest, the greatest challenge about taking bus is figuring out which bus to take, from which station to which station. There are so many buses in Singapore, it’s impossible to study each bus routes. I still remember when I came to Singapore in 2005, even after purchasing a bus map and a bus guide, I still couldn’t figure out the whole bus system. I had to follow my friends’ instruction every time I wanted to take a bus. Thankfully, Mr Google has been working hard over the years to solve this issue. Nowadays, Google Maps is smart enough to recommend the fastest route from your location to your destination. It tells you from which bus stop you should board the bus, and which bus stop you should stop at. It can also gives you an estimation of travel duration. Google Maps is reliable 99% of the time. In rare occasions, it does give a less optimized route, but it won’t add too much travel time to your journey. Even though there are plenty of well-developed journey planner, such as gothere.sg, Google Maps is my preferred journey planner. You’ve got your travel pass/cash, you’ve figured out your route, you’ve arrived at the bus stop for some time. And now, where the hell is the bus? When is the bus coming? Okay, please calm down and use SG Buses app or MyTransport.SG app to check the bus arrival time. Similar to MRT, the bus fare is calculated with a method called Distance Based Fare. To learn about fare system and transfer system, refer to “MRT” section in the first point. Bus starts running from around 5am and ends around 1am. Each bus has different operating hours. Bus frequency varies depending on the time of the day, the day of the week, and traffic condition. Typically, weekday buses are more frequent than weekend buses. The bus frequency during peak hours is about 4 to 6 minutes and 10 to 12 minutes during off-peak hours. Sometimes, bus can be terribly delayed if there is heavy traffic or accident. To check the exact first bus timing and last bus timing, bus route, bus frequency, and to calculate bus fare, use this TransitLink tool. At the bus stop, when you see your bus approaching the bus stop, flag the bus early. It’s not compulsory for the bus driver to stop at every station, especially if nobody indicates their intention to board/alight. When the bus arrives, enter the bus from the front gate in an orderly manner and tap in at the card reader. Don’t push and avoid any physical contact with other people. Prepare your travel card early even before the bus arrives. Don’t stand at the “card reader” gate while digging through your bag looking for your travel card. Be considerate, move away and don’t block the card reader until you find your travel card. If you’re standing try to stand at the center/back of the bus. Do not crowd the door areas. Do note that standing is not allowed at the upper deck of a doubledecker and on the stairs. Do not smoke, eat or drink in the bus. It’s against the law and you will get fined. If the next stop is your destination, press the bell early to signal to bus driver that you intend to alight at next station. Tap out and exit the bus at the back gate. If you don’t tap out, your EZ-Link will be charged with the maximum amount as if you take the bus from its starting point to its ending point. 4th tip: If you are already on the bus and you don’t know where to alight, you can ask the bus driver to let you know when he arrive at your destination. Of course, you must sit/stand near the driver, and don’t go up to the upper deck. What if you can’t tap in at the front gate? Chances are you have insufficient fund in your EZ-Link card, thus you have to pay cash. What if you can’t tap in at the back gate? Chances are you forget to tap in at the entrance, or you tap in incorrectly. Go the front gate to tap in, then tap out from the back door. What are allowed on the bus? Stroller, prams, foldable bicycles, personal mobility devices are allowed if they’re within the allowable size of 1.2m (length) x 70cm (width) x 40cm (thickness) either folded or open. Wheelchairs are also allowed on wheelchair-accessible buses; do inform the bus captain about the wheelchair and the captain will assist the boarding of the wheelchair from the back door. What are not allowed on the bus? Pets, unless it’s a guide dog for a visually-impaired person. If you have a pet, you need to take taxi (not all driver accept pets though), GrabPet, or private pet taxi such as Fourkids Family Pet Taxi. Free wifi on a bus is not widely available at the moment. There are only a few buses that provide free wifi, namely: 5, 16, 57, 93, 120, 121, 122, 123/123M, 131/131M, 145, 160, 170, 195, 198, 272, 273, 400 and 402. More buses will be added in the future. Night bus (Fri night, Sat night, eve of Public Holiday) – The MRT and bus end around midnight daily, but your movie ends at 1am, what do you do? If it’s weekend, you can take the night bus. Google Maps is not yet familiar with the route and schedule of night buses. To figure out night bus route and operating hour, you can refer to the information board at each bus stop, or from this article. Basically these buses operate from around 11pm to 2am from city to residential areas. Night buses have very low frequency (about 40 mins). If I may make an honest recommendation, I suggest that you take a Grab or taxi to save time, instead of taking night bus, unless you’re on tight budget and you don’t mind waiting. Taxi is a popular transportation method in Singapore for people who appreciate convenience and time. It’s also the one you can rely on between midnight at 5am (the period when bus and MRT are not in operation). Flag along the road. Please note that taxis are not allowed to pick up passengers at: bus stop, road with double zig-zag lines, any road in CBD areas such as Raffles Place / Tanjong Pagar, City Hall, Bugis, Chinatown, Orchard. Wait at dedicated taxi stands. Usually, most commercial buildings and MRT stations have a taxi stand nearby. Anyway, here’s the complete list of taxi stand locations all around Singapore. 5th tip: 99% of the taxi drivers are honest, and you’re unlikely to meet the 1%. But, just in case you meet one, I suggest that you use Google Maps to see the best recommended route, then memorize it and inform your driver that you’d prefer if he takes a certain route. Doing that could save you a couple of bucks. Sometimes, the drivers are honest but they’re using the outdated GPS device that doesn’t recommend optimized route and the ride ends up costing you more than you need to pay. A rule of thumb: driving on the expressways is faster compared to driving on normal road even if it’s during non-peak hours. Personally, I prefer to book through Comfortdelgro app because I can choose a flat fee instead of metered fee. 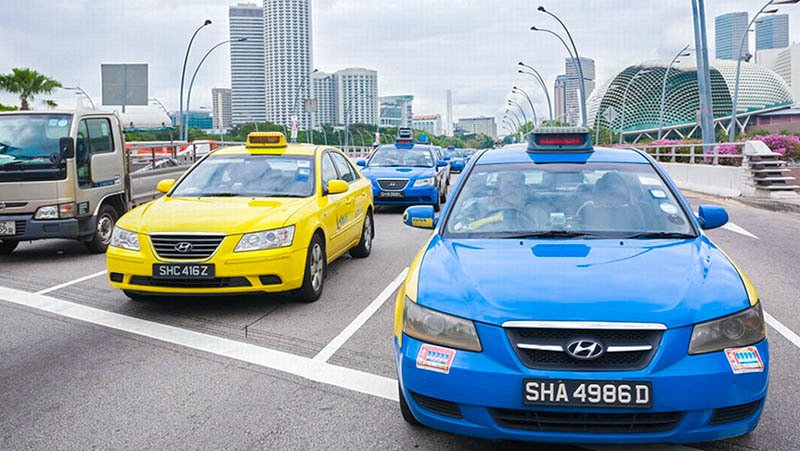 How much does a taxi ride cost in Singapore? Honestly, it depends on how far you travel, when you travel and what vehicle you sit in. The father your travel, the more you’ll need to pay because all taxis are using meters. If you travel during peak hour or midnight, there’ll be additional surcharge and they’re not cheap. Not all taxis are equal, the more luxurious taxis charge higher rate. ERP (Electronic Road Pricing) charges. If you’re passing through roads that charge ERP, the amount will be borne by you, not the driver. A normal 4-seater taxi can only accommodate 4 adults, or 3 adults + 2 children (3A+2C), or 2A+3C, or 1A+4C, or 6C. Children are below the age of 12. If you have more people in your group, consider taking the 7-seater taxi. The capacity is 7 adults (A), or 6A+1C, or 5A + 3C, or 4A+4C, or 3A+6C, or 2A+7C, or 1A+9C. If you need to use the trunk, help yourself. Don’t expect the drivers to help you. Based on my personal experience, most Singapore drivers don’t help passengers to load their stuff into the trunk. Give full address or postcode of your destination, not the building name. Usually, taxi drivers would key in your address or postcode to their GPS device instead of building name. It is possible that taxi drivers refuse to take you as their passenger if your destination is not in the direction of where they’re heading to. Don’t be offended, it’s pretty common. Just get out of the taxi and look for another one. If you’re at the front of a queue at taxi stand, the next taxi in the taxi bay is a Limousine and you know Limo’s flag down & distance fares are more expensive than a normal taxi. You’re on budget and you don’t need a luxury ride, what can you do? Simply take the next available standard taxi. Or inform the people queuing behind you that they can take the limo if they want. Is taxi expensive in Singapore? Yes if you compare it to other countries in Southeast Asia, No if you compare it with countries in America, Europe or Australia. But, it doesn’t mean you have to avoid it at any cost. If there are 4 people in your group, it may be worth paying a little extra for comfort, time-saving and sanity. 6th tip: Avoid paying taxi by credit card! There’s additional 10% admin fee + 7% GST of the admin fee if you pay by credit card. Cash payment doesn’t incur any admin fee. Other card payment (EZ-Link, NETS, NETS FlashPay, NETSPay, DBS PayLah, OCBC PayAnyone, UOB Mighty) will incur $0.30 fees, which is so much better than credit card fee. AliPay will incur 5% admin fee + 7% GST of the admin fee. These days, ride sharing is dominating the whole world. 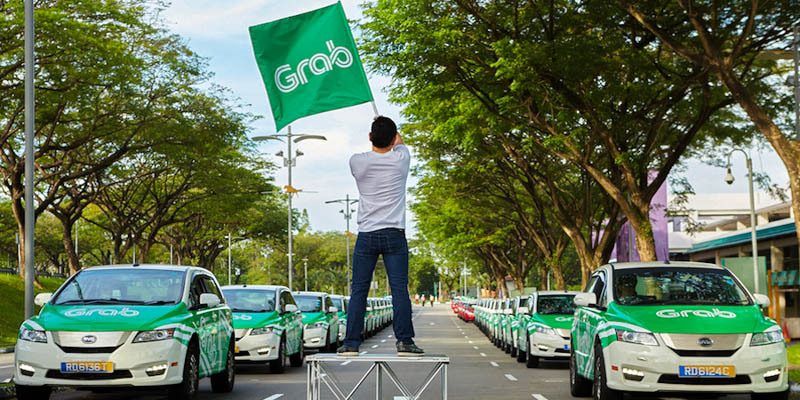 At the moment, the strongest company in Singapore is Grab, who had bought over Uber in May 2018. There are plenty of transportation options offered by Grab, but the most popular ones are GrabCar (for 4 person), GrabShare (cheapest option, sharing with other people, max 2 passengers per account), JustGrab (any nearest car/taxi, cheaper than GrabCar) and 6-Seater (for max 6 passengers per account). Before you book a Grab ride, I recommend that you compare the price with its competitors, such as Gojek and Comfortdelgro. Gojek only offer car ride at the moment. Meanwhile, Comfortdelgro is a taxi app that gives you the option to choose either flat fare or metered fare (I recommend you go for the flat fare). Other noteworthy ride sharing apps are Ryde, TADA, Kardi, Urge, all of which I’ve never tried before so I can’t recommend any of them. If you have hate the idea of spending hours on public transport just to get from a place to another, dislike waiting for taxi, but love sitting behind the wheels and travel on your own pace, then renting a car might be the best option for you. Typically, car rental rate for a day is around $50 to $70 for standard 5-seater cars. Meanwhile, 8-seater cars cost around $150-$200/day. Most companies rent out their cars on a daily, weekly or monthly basis. However, on weekends, usually you have to rent from Friday and return to Monday because the rental companies are closed on weekends. The weekend rate starts from $250 onwards. So, you think that renting car for a day is too expensive. Yet, you want to drive. Enter car sharing, really-short-term car rental for single or multiple journey. Currently there are a few car sharing companies but some of them are too expensive and inflexible. Thus, I’d recommend 2 car sharing companies that worth trying. 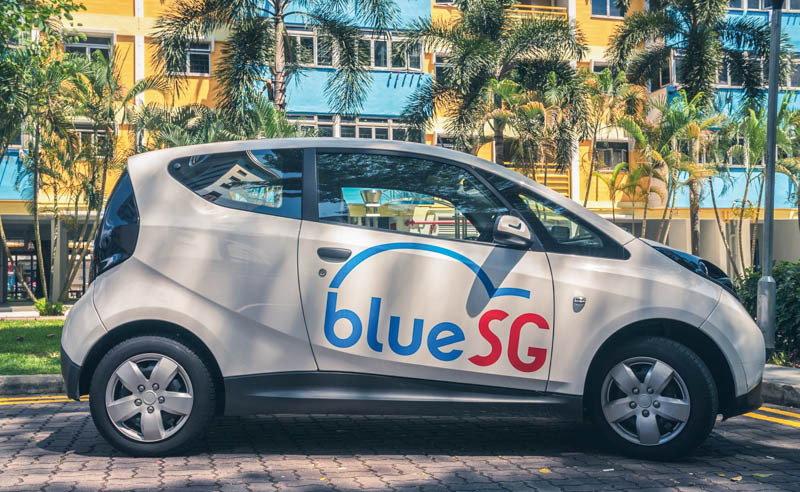 BlueSG offers single journey rental of electric cars (no need to top up fuel!) at $0.50/minute, for a minimum of 15 minutes. That’s equal to $7.50 for a 15-min journey or $30 for an hour journey, which is quite cheap compared to taxi. But, bear in mind that you need to have a driving license and you need to sign up a few days before your actual use. The pro: you can collect the car from any designated parking point nearest to you (there are over 300 of them). The con: you need to return it to a designated parking point, so if the parking point is not quite near your destination, you need to take bus/MRT from parking site to your destination. TribeCar offers car rental for $2.14 (super off-peak) / $4.82 (off-peak) / $6.96 (peak) per hour. Yep, they’re insanely cheaper than BlueSG, BUT… You need to return the car to the original location from where you collect it from (don’t worry, there are over 200 of them), and you need to top up the fuel such that the fuel light doesn’t come up before returning the car. It’s recommended to register a few days before the actual day you’ll use it. You don’t drive, you are travelling with elderly or kids, you need transportation logistics to be taken care of by someone else who could be trusted. It’s probably wise to rent a car with driver. A private car charter costs around $35/hour onwards depending on car type, with minimum booking of 2 hours. 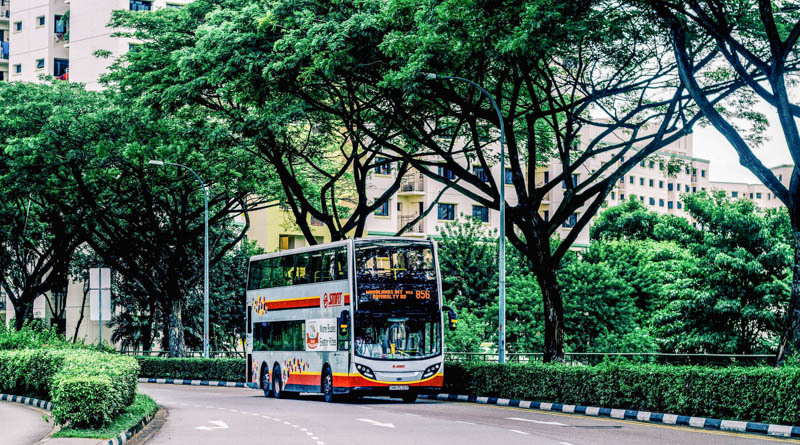 This is not a tour, so you need to prepare an itinerary and send to the driver before arriving in Singapore so that the driver can plan the best route for you. BikingSingapore – includes delivery and pickup to your hotel/preferred destination. Booking to be made at least 1 day in advance. 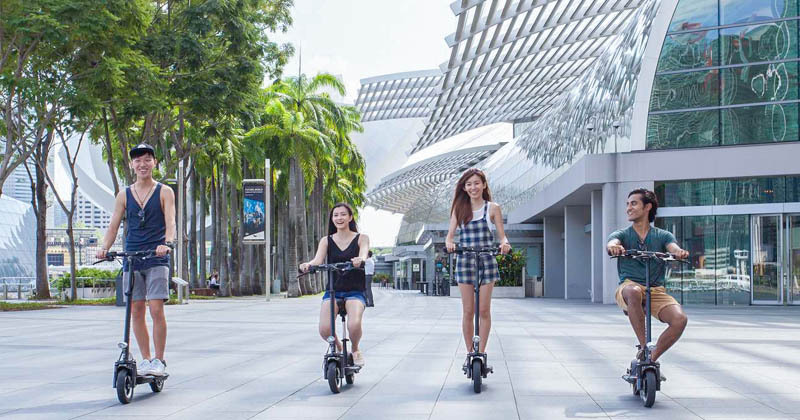 East Coast Park – there are plenty of bicycle rental shops here and they even have quad bikes so you and 3 of your friends can cycle together. Important: Read through Land Transport Authority (LTA) guide on walk, cycle, ride so that you won’t break the law without knowing it. Bike sharing is a great way to rent a bicycle for a short ride. Before 2019, bike sharing was a big thing and you could literally find shared bikes everywhere you go. However, the biggest companies (ofo, obike) have left Singapore due to cashflow problem. Right now, there are only 2 bike sharing companies: Mobike and SG Bike. To be honest, it’s quite difficult to find them nowadays, but there’s no harm trying. Just download their apps and register in advance. When returning the shared bike, please remember to scan QR code of the bicycle parking lot in order to avoid $5 fine. Hate walking but can’t cycle? You should consider renting E-Scooter ! It’s so much fun to cover the city at your own pace without having to walk, pedal or suffer from sore legs due to hours of walking and cycling. I think one hour rental at $17 is too short and too expensive. 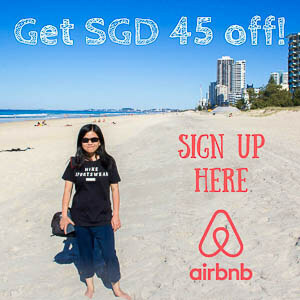 I recommend doing the Unlimited rental at $45 (available from 10am to 5pm, great time to explore Singapore when it’s bright) or Overnight rental at $45 too (available from 5pm to 11am, great time to avoid the sun). You’ve made it to the end of a very long post! This is probably the longest post I’ve ever written here, so congrats! I hope you find this post to be useful. There are definitely more details that I don’t include because information is changing really fast, so all I did was to link to reliable website for your easy reference. If you have any questions, please drop them in the comment!